Beijing’s gross domestic product (GDP) rose 7.7 per cent year on year in the first half of 2013, according to official data. 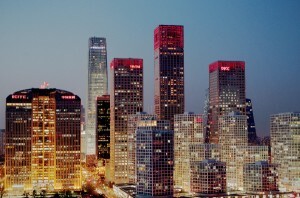 The economy of China’s capital city expanded to 911.28 billion yuan ($148 billion) in the first six months of this year. The data was issued by Beijing’s statistics bureau and the National Statistics Bureau’s Beijing division. Beijing’s GDP is up 0.5 per cent over the same period last year. “The job market remains stable and residents saw their salaries rise more quickly,” said Yu Xiuqin, Vice Director of Beijing’s statistics bureau. A key driver of Beijing’s economy – the information technology sector – grew faster than expected, Yu said. Service-related industries also continued to strengthen during the period, according to the data. Data from the National Bureau of Statistics (NBS) revealed China’s gross domestic product (GDP) growth slowed to 7.5 per cent in the second quarter this year, posting figures largely anticipated by analysts. The country’s GDP totalled 24.8 trillion yuan ($4 trillion) in the first six months of 2013. China has set a target of 7.5 per cent growth for this year.